Colin Montgomerie is three under par through 14 holes. ABU DHABI, United Arab Emirates (AP) - A day after missing out on Europe's Ryder Cup captaincy, Colin Montgomerie says he's not bitter and is fully behind the choice of Paul McGinley. 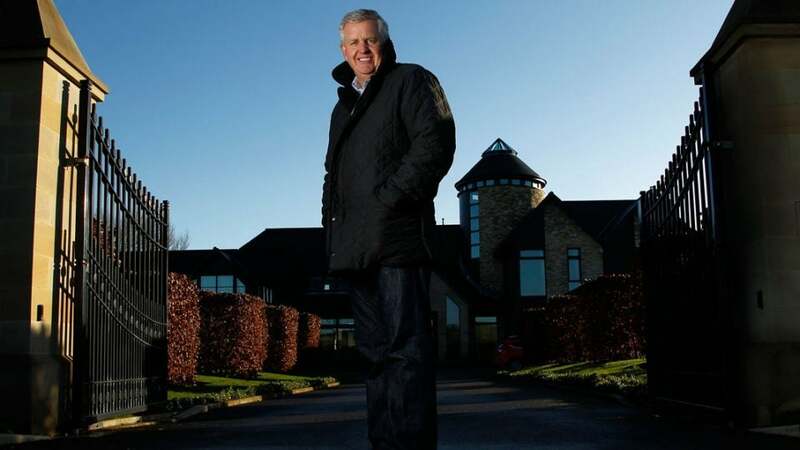 Montgomerie, the winning 2010 captain, emerged as a late candidate after Darren Clarke pulled out of contention for the job, preferring to concentrate on his own game. But the 49-year-old Scotsman was opposed by several players, most notably No. 1-ranked Rory McIlroy, who felt Montgomerie wouldn't be motivated to win a second Ryder Cup. Speaking ahead of the Abu Dhabi Golf Championship, Montgomerie said he was ``flattered'' to be considered and said he didn't campaign for the job. Montgomerie said that McGinley was ``definitely'' the right man for the job. Along with his 2010 captaincy, Montgomerie represented Europe eight times as a player, becoming in 2006 the second European to win the contest five times. He was top scorer at The Belfry in 2002 with 4 1/2 points out of five, and holed the winning putt at Oakland Hills in 2004. The fifth-ranked Justin Rose, also playing in Abu Dhabi, said he felt the push for Montgomerie didn't make sense. He backed both Clarke and McGinley and was firmly behind the 46-year-old Irishman once Clarke withdrew. He also echoed other players in saying that McGinley would be a perfect leader in 2014. McGinley has been on three Ryder Cup-winning teams - holing the 10-foot winning putt in his Ryder Cup debut at The Belfry in 2002. He was also vice-captain for Europe in 2010 and for the improbable comeback win last year at Medinah. McGinley also got a vote of confidence from Tiger Woods, who will likely be on the American team when the two sides meet at Gleneagles, Scotland. Watson, who was chosen as United States captain last month, will be 65 when the event starts making him by far the oldest man to fill the role and the first repeat captain for the U.S. since 1987. But he's also the last American to lead the team to victory outside the U.S. - in 1993 - and he knows how to win in the blustery Scottish weather.